If taking one drug wasn’t already bad enough for you, many addicts will take more than one drug at a time. Mixing two drugs can sometimes have serious consequences, and one can’t always predict the effect of a drug combination. On the low end, many Americans will have a cigarette with their morning coffee—something about the combination of nicotine and caffeine can seem more pleasant than either drug by itself. At a much more dangerous level of drug use, many addicts will take cocaine at the same time as alcohol. Why would addicts do this, though? There are several reasons, and we’ll take them up here. A small quantity of alcohol can act like a stimulant, but larger amounts of alcohol quickly have a depressive effect on the human nervous system. As a person gets drunk, they quickly move through several stages of inebriation, from lowered inhibitions and loss of motor control, to completely blacking out. As most of the effects of drunkenness are ultimately unpleasant for the drinker, it’s not surprising that many could want to do something to reverse the effects of alcohol. The problem with this approach is that the feeling is just that—a transient experience that will soon pass without actually changing the amount of alcohol you’ve had. While cocaine can seem to stretch out your night and let you drink more, your body has still taken in however much alcohol you’ve drunk. If you take too much, no amount of cocaine in the world can keep you from getting alcohol poisoning. This is also not even taking into account the additional damage you’re doing to your body with the cocaine by itself. It appears that the number of users taking both drugs at the same time is increasing. 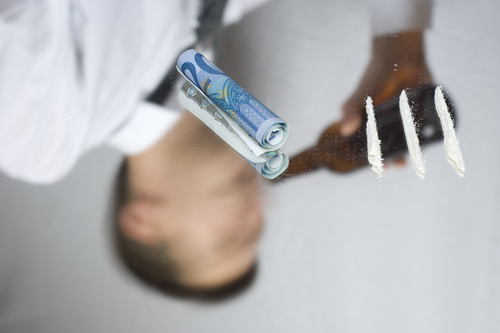 A study by the University of California’s Drug Dependence Research Center explained the phenomenon by stating: “The combined use of alcohol and cocaine can produce a sense of increased and prolonged euphoria, compared with the use of either substance on its own.” Drug abusers are making the conclusion that each drug is “fun” on its own, but they’re even better. What they don’t seem to know is what is actually happening in their bodies chemically. When cocaine and alcohol are both taken into the body, they actually react together to form a third substance called “cocaethylene.” The chemical can seem to make the user even higher than either drug by itself, but it is also incredibly toxic to the liver and can cause heart attacks even in very young users. When someone uses cocaine and alcohol for years, the substance builds up in the person’s body and can cause serious health problems or even death. While alcohol should always be used in moderation (or not at all), there is absolutely no excuse for taking cocaine or combining it with other drugs. Avoid these combinations in order to keep yourself safe and healthy.